In numerous social change networks that we support at IISC, racial equity has been put at the center of the work, whether or not that was the initial impetus for coming together. This is not seen as ancillary to the change effort, but now understood as foundational, in that systemic inequity around race is part and parcel of the water in which we swim. In a few of these networks where there is a majority of white participants, increasing numbers of people are asking what they can do about structural racism, and one response is that there is important work to be done around whiteness and white privilege. As Gita Gulati-Partee and Maggie Potapchuk point out, this is often a critical missing link in racial equity work. This can be difficult for white people to take in or accept (speaking from personal experience), because white privilege is hard to see, because we may not want to see it and/or we don’t like the idea of giving it up. 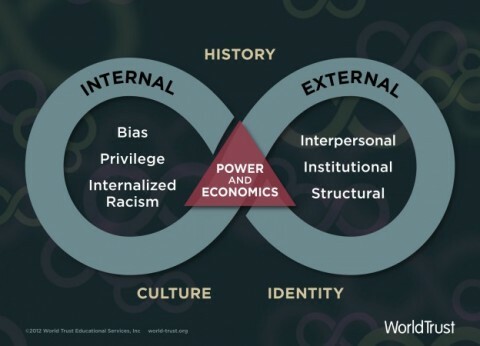 This lays out the necessarily multi-dimensional work of helping more of us to see and understand white privilege, deal with some of the emotions that come up around it (without lapsing into unhelpful defensive behavior – see “white fragility“) and lift up what is to be gained from doing this work. In addition, at IISC we have found sharing film clips, including the one above from Shakti Butler’s Cracking the Codes: The System of Racial Inequity, to be helpful in deepening understanding among white people of white privilege and how white privilege being aware of itself can be leveraged in productive ways, towards equity. 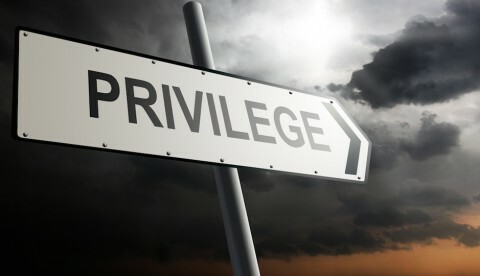 What is a System of Privilege? 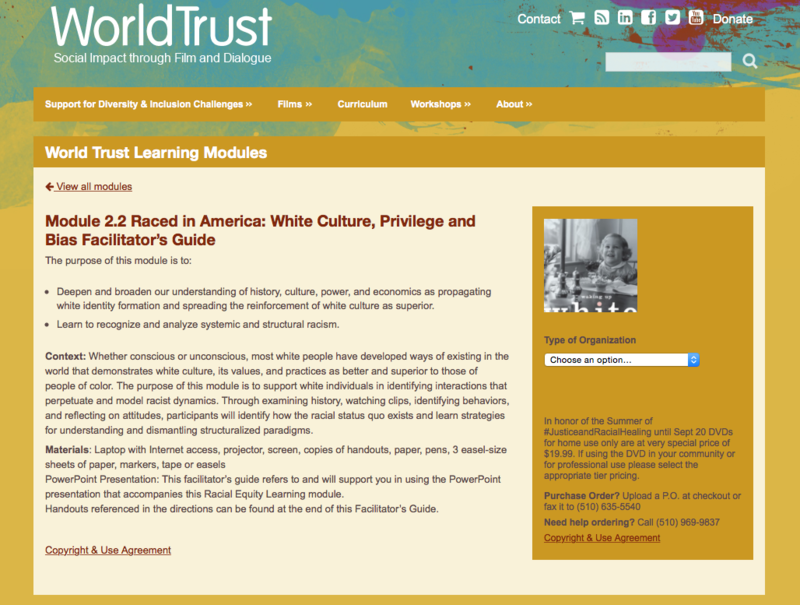 Also check out the World Trust module below, which features the work of Debby Irving, author of Waking Up White. And consider attending a future White Privilege Conference. Welcoming your reactions, stories and other resources/ideas. How are you considering whiteness and white privilege in your networks and collective impact efforts for change?